Now click the button that says "ADD TO BAG." Good girl... 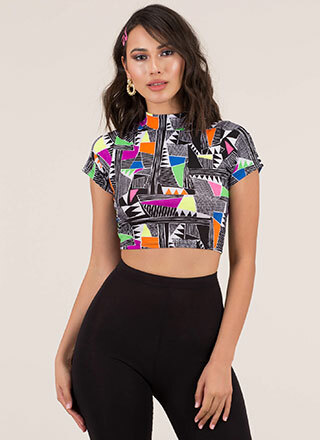 Wrapped, non-stretchy crop top features a surplice front with a ruffled deep-V neckline, puffy short sleeves, long self-tie straps along the bottom hem, and a subtle, allover, grid-like print for a gingham effect throughout. No additional closures are included. Pattern placement may vary.